Tips for those who want to see Eminem’s show. 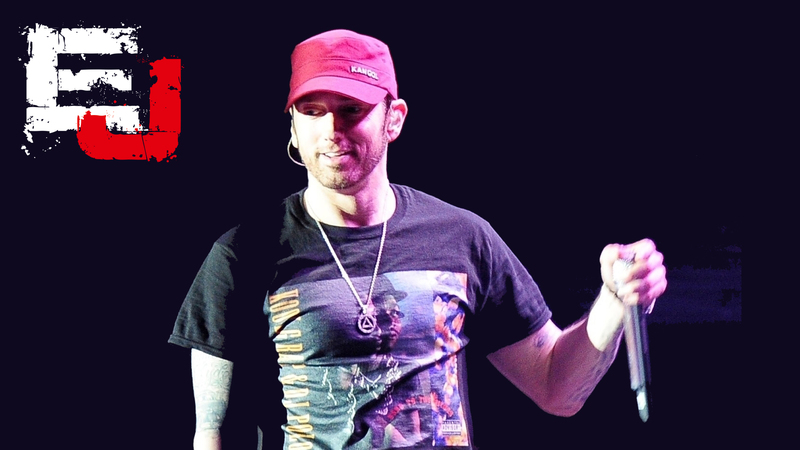 Get Ready for Revival tour! 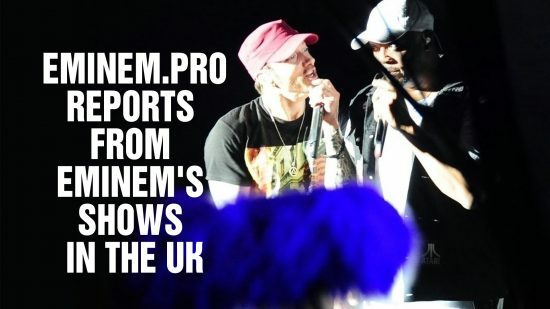 Before the beginning of Eminem’s USA festival tour and his European Revival tour we decided to share some useful tips for those who plan to attend a festival or a concert for the first time. We hope that these tips, which are based on our own experience, will be helpful. 1. Choose the type of admission and ticket delivery wisely. Different festivals have different types of admission, before purchasing a ticket study all possible options. Many organisers offer a variety of special services, and even VIP packages. If you want to be in the front row maybe you should consider purchasing an additional option of early entrance, which gives you an opportunity to enter the fan-zone earlier than other visitors. But choose your additional packages attentively. VIP doesn’t always mean that you will be watching your favourite artist face-to-face. Often these packages just include different presents and merchandise, as well as bar or restaurant access. Such VIP tickets are useless if you want to be in the front row. 2. Don’t put off picking up your tickets till the last moment. And remember that you will probably need an ID if you are picking up your tickets at the box office. If you want a physical ticket make sure you know when the organising company will send them. Sometimes the shipment (especially international) starts a week prior the event, which is risky if you are planning a trip abroad. Of course, all fans want a physical ticket to keep it as a memory. But e-tickets can be more reliable sometimes. 3. Study the list of forbidden items and if possible don’t bring any with you. Each festival has its own safety regulations, rules and restrictions which can be different in different countries. So spend some time on reading, so you won’t waste it at the entrance. This might seem obvious, but I’ve seen people suffering in clothes that were too warm, or too cold or too tight. Ladies, do not dress to impress, dress to dance and enjoy yourself. Wear shoes which you won’t be sorry to spare . In the fan zone you will definitely have your feet stepped on, jumped on, stand on, so your shoes might not survive. If you are going to a summer event be sure to bring a hat (to protect your head from sun) and a raincoat (in case it rains, obviously!). Do not take umbrellas, they are usually in the list of forbidden items. 5. The less stuff you have with you – the faster you’re gonna get inside. Another tip that sounds unnecessary, but sometimes we all forget basic stuff. Don’t make it hard for yourself: try not to bring too much with you. Basic items you might wanna consider taking with you are: a phone, some snacks, water, ID. Don’t forget to dispose of garbage in special garbage bins. Usually staff members can help you utilise your waste before they open the gates. Take stuff you will be willing to throw out in case it will be necessary if security says so. Don’t waste precious time on arguing. 6. Do not go into the crowd if you are sick, stressed, prone to panic attacks or pregnant. Often festival visitors want to see their favourite artist too much. People tend to overestimate their capabilities. It may be stressful and pretty tough out there. We all have seen people fainting, panicking and collapsing. So before throwing yourself into battle, trying to get to the first row, be sure you can handle it. Those who manage to get in front often feel sick before the headliner’s show because of the pressure and lack of fresh air in the crowd. If you are not feeling yourself well – call security officers who always stand close to the stage, they will help you out. 7. If you really want to get into the front rows – come early. Real fans come really early. So if you consider yourself such, you know what to do. If you have decided to be in front you should be ready to wait 12-16 hours in line. And don’t forget to check the venue the day before the show to know where the entrance is and where to go. 8. Ask security for help if you are not feeling well and need help getting out of the crowd. Don’t be afraid to ask for help, the security is there to protect you and to make sure everyone is feeling great. You will have to stand in crowd for a long long time, waiting for a headliner. Organisers offer visitors free water. don’t forget to share with your neighbours, as they might be thirsty too. 10. Do not start a fight or argue. Communicate with people. Try to manage conflicts in a civilised way. It will be even better if you make new friends. Good company makes time fly fast. Besides you might find true friends there. 11. Do not leave your spot unattended. Especially if you are alone. You spot can be taken. If you attend a concert as a group take turns in bathroom visits and food searches. The closer the headliners’ performance is – the harder it is to get back to your place though the crowd. Waiting for a headliner is a long and hard process. But in the end all your efforts will not be worthless when you’ll see your favourite artist.